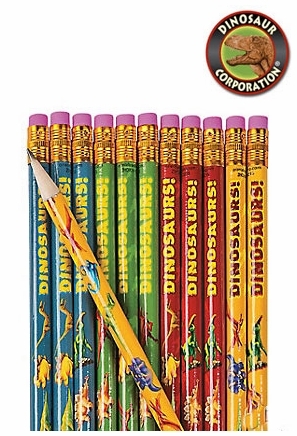 Dinosaur Pencils are featuring pictures of the best know dinosaurs. Pencils are made from safe, non-toxic paint and materials. #2HB lead. * A must have for dinosaur drawings! * Designed for kids loving prehistoric times.